Asia is urbanizing rapidly. However, the urbanization rates vary widely from 33% in South and Southwest Asia and 63% in North and Central Asia to 70% in the Pacific in 2010. Globally, the level of urbanization is expected to rise from existing 50 % in 2009 to 70% in 2030. By the year 2030, an additional 3 billion people, about 40% of the world’s population, will need access to housing. This translates into a demand for 96,150 new affordable units every day and 4,000 every hour. SAARC has signed MoU with ICIMOD to build or work with 16 SMART, GREEN Economic villages. We will work with the SAARC Development Fund to promote green SMEs. Every one degree rise in temperature will affect our economies. Sustainable: in simple term is too able to sustain, it involves methods that do not completely use up or destroy natural resources. Green: Is the color most commonly associated with spring, hope, nature, life and the environmental movement. Defines concept of renewable, sustainable and eco-friendly processes, products and energy. Village: is a clustered human settlement or community, with a population ranging from a few hundred to a few thousand. Every city/urban area undergoes the population growth having remarkable growth in recent years. If an economy driven self-sustained village with managed infrastructure facilities is designed then an organized city is not a far dream. Today’s rural area is tomorrow’s urban area. 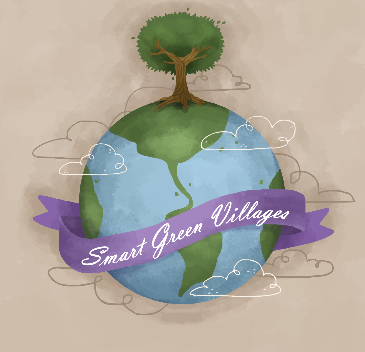 Sustainable Village is intentionally built community that has a goal is to become more socially and economically sustainable and has minimal ecological impact. It is really important to address the issues before it is too late.